Women have different skincare needs to men. We understand. Our Women’s Cycling Pack will help keep your skin in terrific condition whilst you’re cycling. 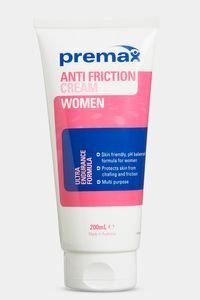 Stay saddle sore and chafe free with our pH balanced and silky smooth Women’s Anti Friction Cream, and your skin protected from the sun’s damaging rays with our dry, light, and sweat resistant Sports Sunscreen. This great value pack also contains our exercise-specific Weather Protection Facial Cream which will boost your skin’s defence against the wind, cold, and harsh weather conditions. You will save 10% when purchasing these products in this pack compared to buying them separately. What’s in the Women’s Cycling Pack? Click any of the links above so you can read more about any product. 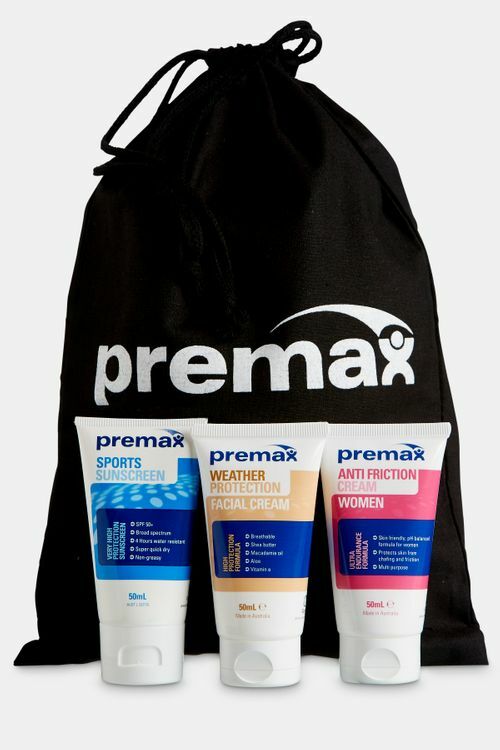 “Premax Sports Sunscreen is the best that I have ever used! Once applied, you don’t know that it is on which is awesome for me as I have sensitive skin and have to wear sunscreen every day”.